Mayme Workman was born in Springfield, Illinois, in 1892. She began her career in telecommunications with the Interstate Telephone Co. in 1907. 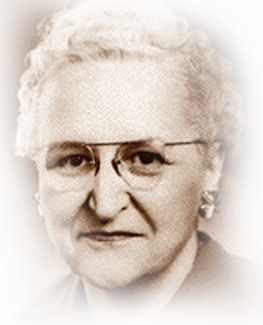 In 1909, she joined Central Union Telephone Co. (Bell) and in 1929 accepted a position as traffic supervisor with the Illinois Telephone Association, Springfield, Ill. From 1947 to retirement in 1961, she was executive secretary and treasurer of ITPA located in Springfield, Ill.
During her career as ITPA executive secretary and treasurer, she wrote and had published over 800 technical and inspirational articles. She served as traffic editor for a trade journal for 29 years. She made presentations at national conventions for 33 years. In her state convention and chapter presentations, she appeared before practically every telephone organization in existence at that time. She also made presentations at civic groups such as Rotary, Lions and Kiwanis. Her “operator’s corner” was considered as “the bible” from 1932 to 1961. Her biography appeared in “Who’s Who in the Midwest” and in the first edition of “Who’s Who of American Women.” Workman pioneered in her day where others feared to tread. She was more than a personality, more than a person, she was an institution. She died in 1961.